Killarney Lake in Mount Work Park. Photograph by Adam Ungstad. Enjoy your afternoon bike ride knowing that there is a refreshing swim waiting for you at the end. Take the family for a ride on a regional trail, and stop for a picnic at a fantastic viewpoint while you are there. Breathe fresh air and soak up a bit of sun while you cycle your way to a new swimming destination. 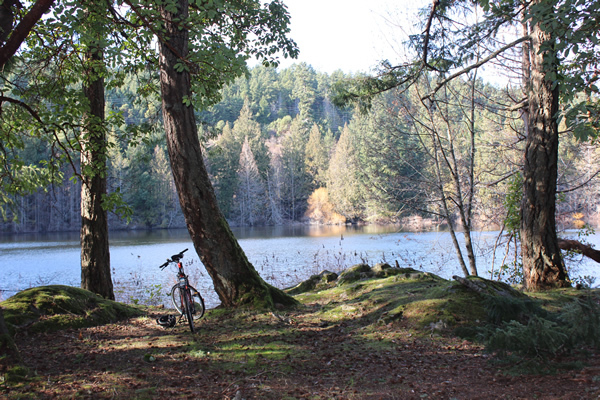 Southern Vancouver Island is an amazing place to explore by bike. Why not explore some lakes? 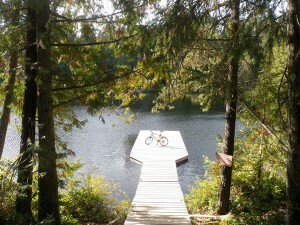 From an exploratory bike ride down the galloping goose to Thetis Lake to mountain biking the single track trails on the way to Sheilds Lake in the Sooke Hills, or enjoying a picnic lunch in the shade Killarney Lake in Mount Work Park, southern Vancouver Island is a paradise for cyclists of all kinds. 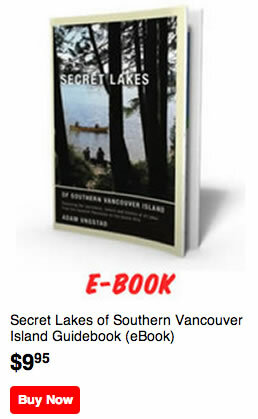 The Secret Lakes of Southern Vancouver Island Guidebook is an excellent resource for recreational cyclists, with detailed trail maps, directions and plenty of great ideas for places to explore. If you enjoy using pedal power to get outdoors this book has some great ideas for places to go!